When Marco Polo came at last to Cathay, seven hundred years ago, did he not feel – and did his heart not falter as he realized – that this great and splendid capital of an empire had had its being all the years of his life and far longer, and that he had been ignorant of it? That it was in need of nothing from him, from Venice, from Europe? That it was full of wonders beyond his understanding? That his arrival was a matter of no importance whatsoever? We know that he felt these things, and so has many a traveler in foreign parts who did not know what he was going to find. There is nothing that cuts you down to size like coming to some strange and marvelous place where no one even stops to notice that you stare about you. I can no longer conjure up a clear picture of the day I learned to ride a bike. My memory tells me it was the summer after I turned eight, riding in circles around the unusually large driveway at the Cottingham’s house near Newtown. It was just me, riding in circles, until I got the balance right. Not much later, my newfound skill would be packed up – with my family and all of our stuff – and moved 3,000 miles away to Oregon. My brothers and I would spend many summer days for years to come riding through the nearly-empty parts of the Oregon State University campus that started across the street from our house – a campus empty enough that three kids on little bikes could ride for hours without worrying much about cars or even many other bikes. When my family moved again – to New Hampshire, four years later – I brought my bike, by that time an almost adult-sized ten speed. That bike transported me to friends’ houses in our tiny town, when no parents were willing to play chauffeur. I have a clearer memory of the day, during my junior year in college, when I stood in front of the multi-colored spaghetti of a Paris Metro map and the proverbial light bulb went off. I had spent a few days following others in my group who knew how to navigate the Metro, not paying attention to what they were doing. And then I was on my own. It took me a few minutes, but then suddenly it all made sense. The braided lines disentangled themselves and seeing my path from Point A to Point B became simple. Last month, I visited Washington D.C. with my boyfriend, his mother, and his eight-year-old daughter L. I am not well-versed at traveling with kids, but when we descended for the first time into the D.C. Metro I figured it was worth a try to explain the Metro system to L. This was only four colored lines, not 20. When we got onto our train, I pulled out the map and showed it to her. “Okay, so this is where we started – Union Station – and this is where we want to go – Dupont Circle. They’re both on the same line – the red line – so all you have to do is figure out which direction to go. And that’s the name of the station at the end of the line in that direction,” I told her, pointing out the points on the map. She didn’t get it. The next time we rode the Metro, I walked her through each step as we were doing it. She sort of got it. The next time, I handed her the map, told her where we were starting and where we wanted to go, and asked how we would get there. It took some prompting, but she figured it out. 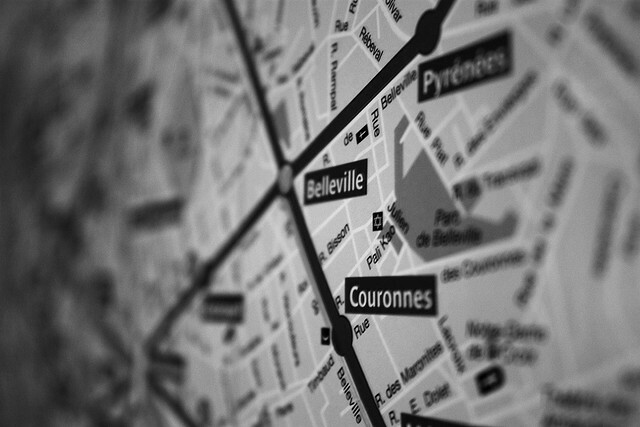 And by the end of day two, I would hand her the map as soon as we got to a Metro station, at which point she essentially navigated us along our route – including, on a couple of occasions, a transfer from one line to another. I have this adorable picture of her showing the map to her grandmother, explaining how to read it – passing on her newfound knowledge. She later said that she’d like to go to college in Washington D.C. When we asked why, she said, “Well, I already know how to use the subway.” We did not test this theory out (because, hello), but I am perfectly confident that if L had been sent into the Metro on her own she’d have been able to find her way. Two weeks before we left for D.C., the training wheels had come off of L’s bike for the first time. There’s video of her pedaling up and down the street, eagerly going faster and faster, clearly loving the speed and her control of it. When we walked toward a Metro station on day three, something occurred to me. She agreed, and although I’m not sure she fully grasps the connection, I look forward to the day when I can hand her a Paris Metro map and let her do the rest. The folks at Passports with Purpose sent out a message after donations closed last week, thanking everyone for participating and for helping them surpass the $100,000 goal (the final tally was $110,000 to build five community wells in Haiti through Water.org). The entire thank you note is lovely, but it was this passage that struck me most. 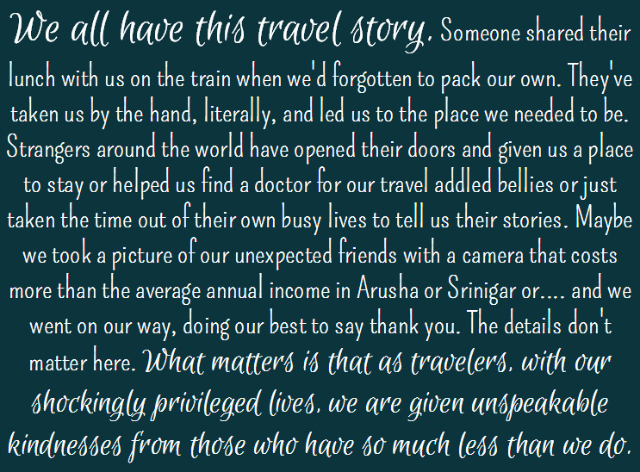 I hope it resonates with you, too, and reminds all of us why we’re so proud to be a part of both this incredible fundraiser each year and the travel blogging community all year long. So far this Passports with Purpose season you’ve seen the prize I’m hosting – an evening for two at Seattle’s Triple Door – and you may have seen the post I wrote over on the TBEX blog about some of the more astoundingly awesome prizes available. In this post, I’m going to share with you my personal list of favorite prizes. I realize that this may mean you’ll bid on some of them when you wouldn’t have done so before, thereby lowering my chances of winning, but I sort of think that with the stunning array of prizes available you’ll end up being drawn to different prizes than I am. I mean, there’s more than enough to go around, right? At least that’s what I’m hoping. The best part of this is that although the prizes are awesome, this is about much more than prizes. 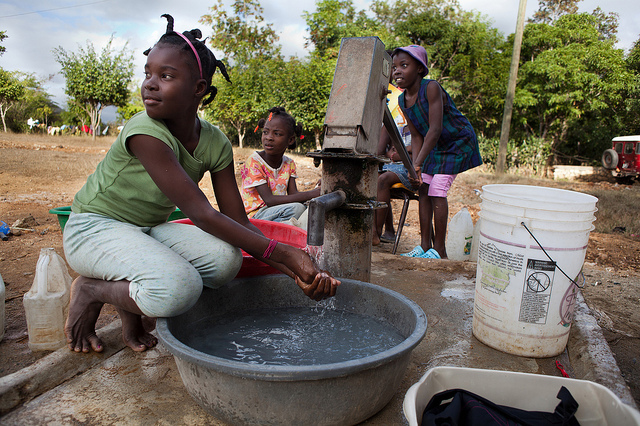 This year, PwP’s goal is to raise $100,000 for Water.org to build two community wells in rural Haiti. Take a sip of that clean water you got directly from the tap in your kitchen, without having to leave your house or question whether drinking it might make you sick, and ponder just what clean water means to people who don’t have it. Then head over to the Passports with Purpose donation page and contribute. Every $10 donation enters you into a drawing for the prizes of your choice. Here are the prizes that are making me salivate this year, and for which I’ll be donating. I dare you to browse through the full list of prize options and not find something that speaks to you. GPS Unit – When the husband and I are on road trips, he drives and I navigate. This is the way it’s always been, and I’m supremely handy with a map. Still, on those occasions when we’ve upgraded to a rental car with GPS, it’s been a bummer to drop the car off and kiss that sweet nav system goodbye. Sure, there was the time in Italy where the disembodied voice kept trying to convince us to drive against oncoming trip up the highway on-ramp, but nobody’s perfect. There are two GPS units on the PwP list this year – a Garmin Nuvi from Frisco Kids and a Magellen eXplorist from Travel Gear for Women – and I’m coveting both of them. GoPro Camera – All those GoPro ads I’ve seen with extreme kayakers wearing the camera on their helmets as they go over a waterfall did not make me want a GoPro camera. I am – how shall we say – never going to go over a waterfall in a kayak. Ever. The newest GoPro ad I’ve seen, however, seemed to be the most honest depiction of how most people would likely use it, and made me think, I must have one. The Solo Traveler and Mother of All Trips teamed up to offer a GoPro in the PwP fundraiser, so you should probably warn my cats now. Two Nights in Seattle – I’m always looking for excuses to spend more time in Seattle, not least because of the gaggle of friends I have in the city. And since the founders of PwP are part of that gaggle, there’s always a great selection of Seattle prizes up for grabs. This one from my TBEX colleague Mary Jo is the one I’ve got my eye on this year – two nights in the “Space Needle Suite” at a luxury hotel in downtown Seattle? Umm, yeah, I’d like that. Very much. Horseback Riding Trip in Arizona – So, we’ve been over the fact that I’m the original Cowgirl Jessie (ahem), but I can count the number of times I’ve been horseback riding since high school on one hand. I opted for a horseback safari one day during my South Africa trip last year, and although I was feelin’ it in every bone and muscle in my body for at least a day after, it felt surprisingly wonderful to be on a horse again. They gave me the slightly feisty one, they said, and praised my ability to keep him in line. Sure, they were probably just buttering me up, but I’ll take it. Which is why I’d love to spend three days at a “luxury dude ranch” in Arizona, to spend three days listening to the squeak of leather on leather with the movement of the saddle. (There are few sounds that will send me straight back to childhood faster than that one, I tellya.) Oh, and if you’d prefer to bring the whole family horseback riding, then check out this amazing one-week stay at the Lone Mountain Ranch in Montana for a family of five. Two Nights in New Orleans – Two years ago, the PwP prize I won was a stay at the Hotel Monteleone in New Orleans, so I’m biased about this prize. I love that Vera manages to offer it every year, and I love knowing that someone else is getting to enjoy that gorgeous old hotel and its famous Carousel Bar, right in the heart of the French Quarter, where music seems to seep out of the sidewalks… So, I won’t be bidding on this prize this year, but I totally think you should. A visit to New Orleans is good for the soul, people. A Week in Provence – Yep, I’m dreaming a bit bigger with this one, but it’s hard not to drool over this incredible package from Provence Post. It includes a week-long stay at a villa in St. Remy de Provence, plus meals at five different spectacular restaurants (two of which have Michelin stars), four separate guided tours (one of which is a half-day wine tasting adventure), and two one-hour massages. I mean, come on. Okay, y’know what? Nevermind. Forget I said anything about this one. I want it. In addition to the prizes that I would dearly love to win, I’m really proud to see so many of my fellow Italophile bloggers getting involved with PwP. If you’re contemplating a trip to Italy, here’s the selection of prizes you should bid on – any one of them would make your trip even more amazing. 4 nights in Pisa “Behind the Tower” apartment – This prize has me especially proud, because not only will it sweeten any trip to Italy, it’s a joint effort by two of my cohorts in the Italy Roundtable. Gloria donated a 4-night stay at one of her apartment rentals in Pisa, and Alexandra is hosting the prize. (Last year, you may remember, Rebecca donated a week-long stay at her Umbrian guesthouse, so we’re quite a PwP-centric roundtable.) If you spend more than the requisite hour in Pisa you’ll understand why it’s such an underrated city in Italy – and this 4-night stay in a centrally-located apartment in Pisa gives you a chance to do just that. Revealed Rome’s Perfect Trip to Rome – My friend Amanda at Revealed Rome has put together a collection of things that make up, as she says, the perfect trip to her adopted city of Rome. If you win her prize, you’ll get a two-night stay in a boutique hotel near the Spanish Steps, a Walks of Italy food experience tour (for up to four people) that includes a pizza-making class, a Walks of Italy tour of the Vatican (for up to four people), and personal trip-planning assistance from Amanda herself. 7 Days of Italy Travel Coaching – My friend Madeline is a serious Italy travel expert. Her business is entirely about crafting customized Italy itineraries for people who don’t have time to figure out all the details but who desperately don’t want to sign up for a tour, or coaching the more do-it-yourselfers along so they can have the best possible experience and the satisfaction of helping to design the trip, too. Madeline has donated a week’s worth of coaching, during which she’ll assess your travel interests and steer you toward where you should go, how long you should stay, what kind of accommodation to look for, where you should eat, and how to get around. She knows what she’s talking about, you guys, and your trip will be unforgettable as a result. $500 Voucher for Apartment Rental in Europe – Technically, this voucher for Go with Oh! apartment rentals from Ottsworld could be used in any of their cities, including Paris, Barcelona, Prague, and Berlin. But since they also have apartments in Rome, Venice, and Florence, I’m counting this as a PwP prize that will make an upcoming Italy trip even better. And I speak from personal experience when I say the Go with Oh! apartments are delightful – because this was the prize I won in last year’s fundraiser, which we used toward the Paris apartment we stayed in over my 40th birthday trip earlier this year. If you’re thinking of traveling beyond Europe in the coming year, no worries – Lola Akinmade and Wimdu are offering a $500 lodging voucher to any of their apartment rental properties worldwide and All Over the Map has a $1000 HomeAway voucher. Context Travel Walking Tours – Context offers walking tours in many cities, including several in Italy. I’m a big fan – I feel smarter after I’m done with a Context tour – and there’s nothing like learning about something in situ. 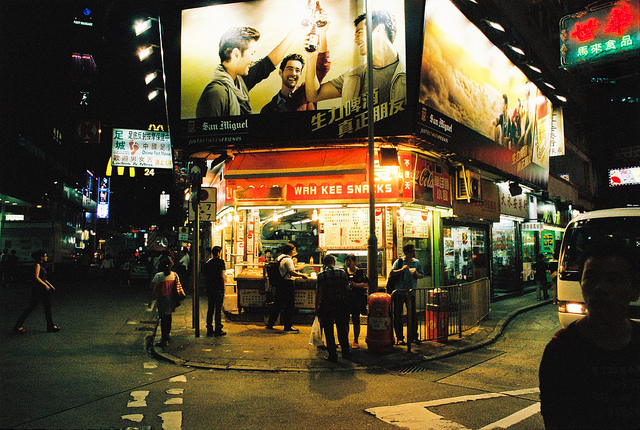 This prize from Katie Going Global gives you two spots each on two different tours. What with all the [fill in the excuse blank here] going on, I didn’t make the time to procure a prize for this year’s Passports with Purpose fundraiser. Luckily for bloggers like me, full of more good intentions than time management skills, there are businesses that want to donate prizes but who aren’t paired up with a blogger – so the Passports with Purpose gals, acting as match-makers, have set me up with a prize to host for this year’s efforts! Before I get to my prize details, however, let me tell you a bit about Passports with Purpose and this year’s beneficiary. Passports with Purpose began in 2008 as a dream discussed over cupcakes (as all good dreams are), and before the year was out the co-founders had hosted their first fundraiser. That first year, Passports with Purpose raised $7400 for Heifer International. Now in its 5th year, Passports with Purpose aims to raise $100,000 for Water.org to build wells in rural Haiti. How do they do it? And how do they grow so much each year? 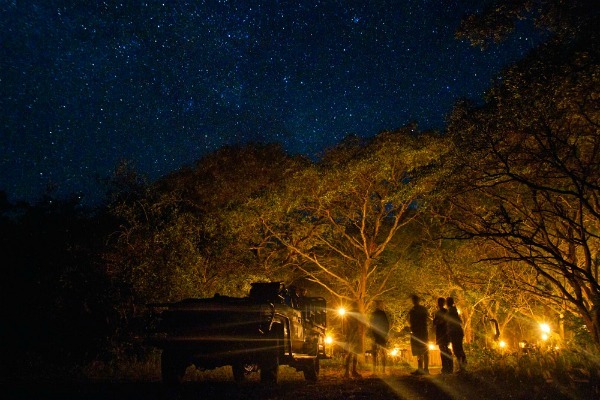 They couldn’t do it without the help of the ever-increasing number of travel bloggers who procure prizes, write blog posts, and promote Passports with Purpose on social media. It’s a testament to how strong the travel blogging community is when we focus on a goal, and I’m proud to have been involved in one way or another since the very first year. Once upon a time, I lived outside Seattle and sang in a band. Those days are long gone, but my love for music remains – so I’m happy that my prize this year is a gift card for The Triple Door, one of Seattle’s top live music venues. 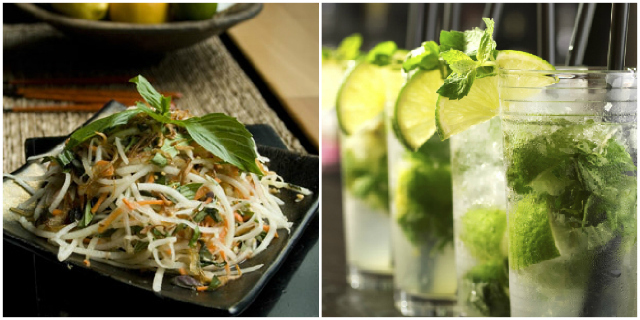 The Triple Door, located in the historic 1926 Mann Building in downtown Seattle, combines world-class entertainment with the award-winning food and wine of Wild Ginger. 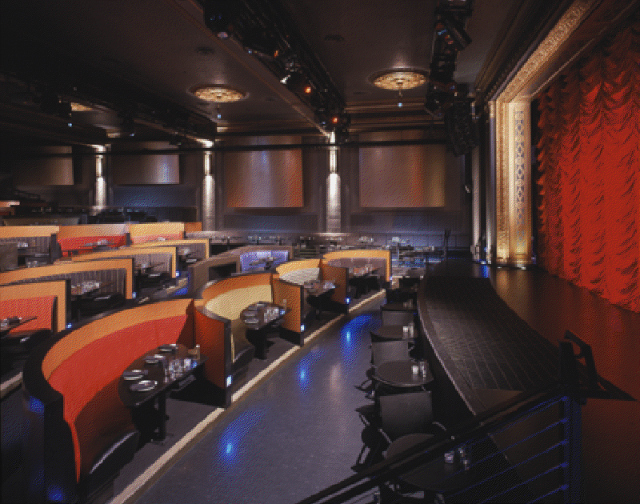 The Mainstage Theater features touring national acts and the Musicquarium lounge, named for its stunning 1,900 gallon freshwater aquarium, pairs the sounds of up-and-coming artists from around the country with one of the city’s most popular happy hours. 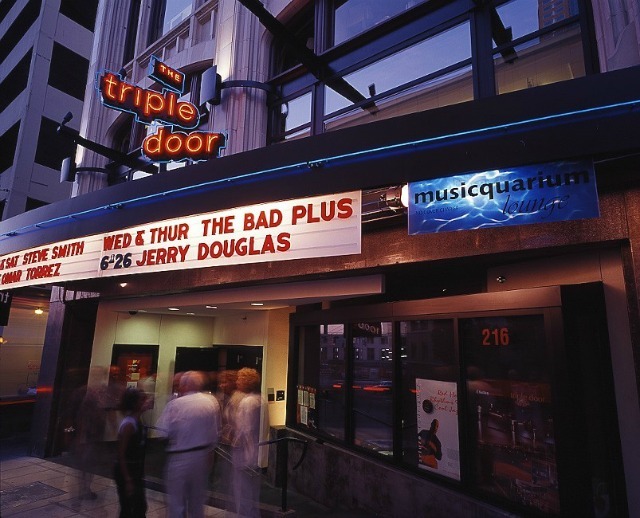 I haven’t been to The Triple Door myself, but I can tell you that the name pops up with some regularity in the Twitter feeds of my Seattle pals, and I trust their taste. (I mean, they’re friends with me, after all.) You don’t have to trust my friends, though – all you need to do is read The Triple Door’s Yelp reviews or peek at the awards they’ve won to know this prize affords you an evening of great entertainment and tasty food. It’s also worth noting that The Triple Door has been involved with several local fundraisers in the past, so working with Passports with Purpose fits in nicely with the way they do things anyway. And that’s the sort of thing that warms your heart even before you walk in the door, methinks. Cortney Lease, Wine Director of Wild Ginger and The Triple Door, recently passed the advanced sommelier exam. She is one of a select few to pass this rigorous exam. Wild Ginger’s wine list is one of just two in the city of Seattle to receive the distinctive Grand Award from Wine Spectator (2008-2012). This December, don’t moss the popular “Land of the Sweets, The Burlesque Nutcracker,” a modern, entertaining take on the holiday tradition, this bawdy ballet spectacle unites burlesque entertainment with the well-known holiday story, The Nutcracker. Sounds great – what can I win? What’s the prize? A gift card valued at $150 for The Triple Door in Seattle, which can be redeemed for tickets/food/non-alcoholic beverages. Is anything excluded? Yes; the gift card can’t be redeemed toward alcoholic beverages or gratuity. How do I know if there’s an event coming up that I’d like to see? That’s an easy one – check out The Triple Door’s website or call 206.838.4333 to find out what’s on the calendar that might make you want this prize even more. Keep in mind, though, that you can use the gift card toward food at the restaurant even if there’s not a show going on. Head straight for the catalog of prizes on Passports with Purpose’s website. There, you can enter to win as many prizes as you like for a donation of $10 for each entry. You’ll find my prize, “An Evening for Two at The Triple Door,” along with all the other awesome prizes. I’m speaking from experience when I say it’s like eating potato chips – it’s nigh unto impossible to just pick one. Donations for prize entries will be accepted through 11:59pm (EST) on December 11, and then winners will be notified on December 18. Note that you can continue to donate after December 11, you just won’t get any additional prize entries. Thank you to the 2012 Passports with Purpose sponsors! 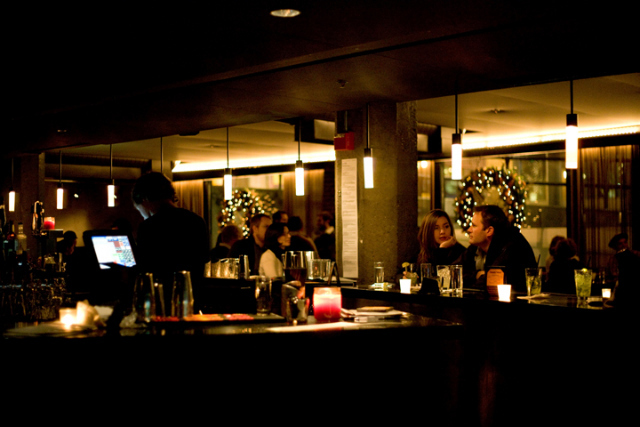 Thanks also to the fine folks at The Triple Door for contributing a prize to the 2012 Passports with Purpose fundraiser!